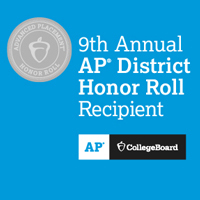 East Aurora School District 131 is one of 373 school districts in the U.S. and Canada being honored by the College Board with placement on the 9th Annual AP® District Honor Roll. East Aurora School District 131 is one of 373 school districts in the U.S. and Canada being honored by the College Board with placement on the 9th Annual AP® District Honor Roll. Why a Tomcat?Why a Tomcat? Welcome to East Aurora High School—home of the Tomcats! East Aurora High School is a public four-year high school located in Aurora, IL, 40 miles west of Chicago. 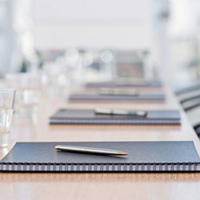 Aurora, a multi-ethnic community, consists of approximately 200,000 residents with a considerable number of business and professional residents. District 131 has the distinction of being the first public school district in Illinois, established by the State in 1851. Our school has an approximate enrollment of 3,800 students consisting of 87% Hispanic, 7% African American, 3% Caucasian, and 3% Asian/American Indian/Multi Racial ethnic backgrounds. Classes are taught over 250 certified staff members, the vast majority having earned a Master’s Degree or higher. The eight major departments in the school offer approximately 275 semester courses. Honors classes are offered in Mathematics, Science, English, Foreign Language, Social Studies, Physical Education, Business and Fine Arts. Special Education classes are offered for students with special learning needs. East Aurora High School offers several honors courses in each of our core subjects, as well as selected elective and preprofessional areas of study. These demanding courses are distinguished by their rigorous instructional pace and emphasis on curricular depth, breadth, and enrichment. 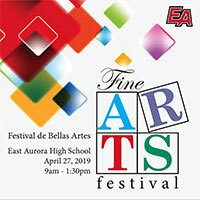 Additionally East Aurora High School offers several Advanced Placement courses; these are accelerated courses that require students to work independently and demonstrate high levels of critical and analytical thinking.